Vijender Singh has registered three knockout wins in his three matches professional bout. The former Olympic and World Championships bronze-medallist would be stepping into to compete in his first fight of the year after three knockout wins last year. But on Saturday, he would be squaring off against his most experienced rival so far who has resorted to bizarre antics like dining on snake blood in the name of preparations. Horvath has a decent record of winning 5 out of 7 fights and has 31 rounds under his belt to count for experience. Vijender has been training for 10 hours a day to prepare for the contest, which was originally scheduled for last month but was delayed owing to technical issues. "I need to continue my unbeaten record and it's important that I put on a commanding performance against Horvath and then next at Harrow to keep on course for my title shot and my homecoming," Vijender said. "Horvath is a good solid opponent for, maybe he will give me a few new tests, he has done more rounds than me and has a bit more experience, but will that compete with the power that I have and when I start landing my shots I don't believe that he'll be standing around for too long," added the 30-year-old. The 20-year-old Horvath, on the other hand, was no less confident about his own chances. "I don't think Vijender is a strong opponent in front of me. He has a record of 3 wins while my record is 5 wins so I have an edge over him. I am confident I will knock him out in the first or second round to register my 6th win," the Hungarian said. "I have seen videos of his previous pro fights and my strategy is in place to give him a lesson of boxing. 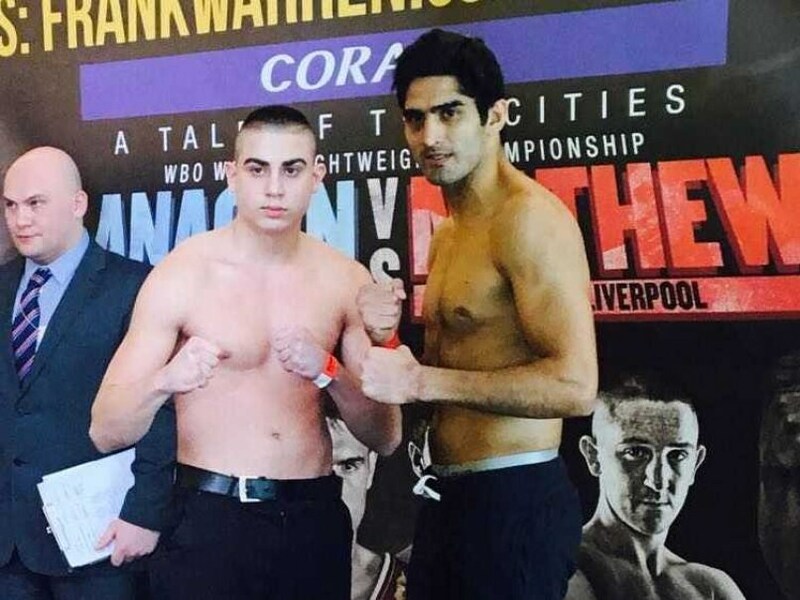 For Vijender I will be the toughest one when I see him in the ring tomorrow," he added. Horvath said he has seen plenty of weaknesses in Vijender and would look to hand the Indian his first defeat before his home debut in June when Vijender will fight for the WBO Asia belt.